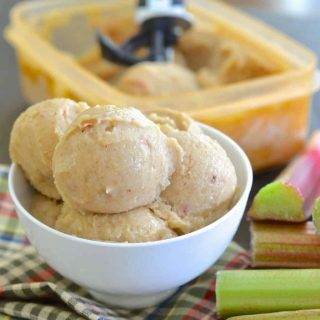 Classic British flavours combine in this really easy, no fuss, No Churn, virtually fat-free Rhubarb and Custard Ice Cream. It’s incredibly easy to make & is secretly healthy! I didn’t set out to make ice cream. Not yet anyway. This recipe was a happy accident. Now I know what you’re thinking, how can you accidentally make ice cream, right? Let me explain. It all started when I made my Maple Walnut Cake. It’s a completely oil-free cake and the oil is replaced by sweet potato. 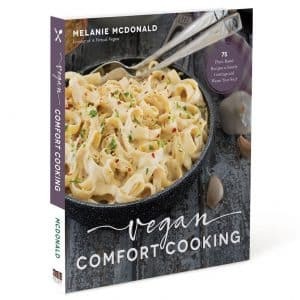 The sweet potato is blended up with non-dairy milk and vanilla before being added to the other ingredients. When I was blending it, I realized that it was kind of custardy and might be good for other things, so a few weeks later I tweaked it a little and tried to make popsicles with it. They weren’t the greatest but to save wasting them, I let them thaw a bit then blended them up to make a quick ice cream. The result was delicious. A few more tweaks later and we have ended up with this No Churn Rhubarb and Custard Ice Cream. Stewed rhubarb and custard is a very traditional and popular British dessert, but like my English style Digestive Biscuits, isn’t something that is very popular in the U.S and Canada. It’s such an awesome combination though and if you ever have the chance to try it you should. These traditional flavours are the inspiration for my No Churn Rhubarb and Custard Ice Cream. 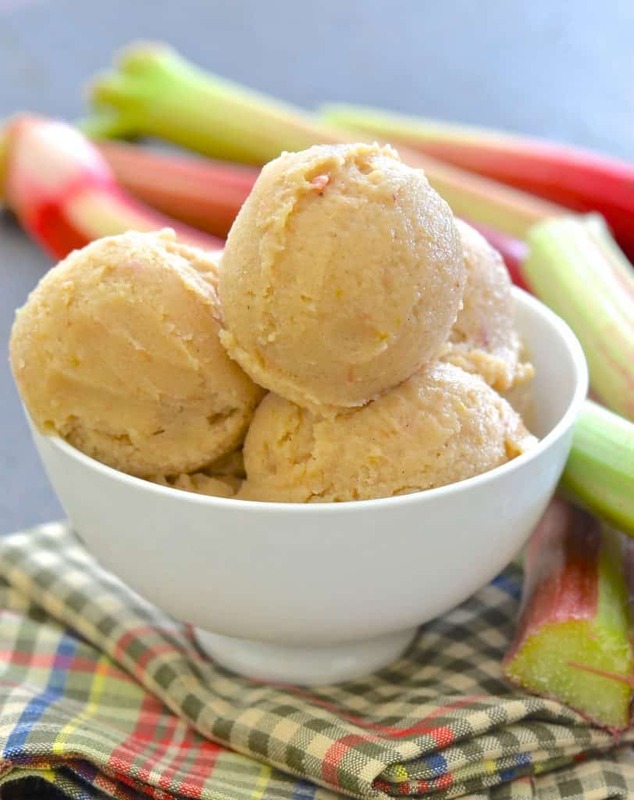 In this recipe the tart, chunky rhubarb is combined with the sweet, creamy vanilla infused sweet potato ‘custard’ to make a deliciously soft, flavourful ice cream. It’s up to you whether you leave a few chunky pieces of rhubarb in it. They add lovely chewy texture but it is great completely smooth as well. The most difficult part of this recipe is roasting the rhubarb. Honestly though, even that is easy. Once it’s done, you just have to blend everything up then freeze. It isn’t quite as easy as my Mango Banana Ice Cream but it’s still fuss free and simple! Because this is no churn ice cream and has no added fatty ingredients, it does freeze up pretty hard. It’s great if you catch it at just the right time after making it, when it’s like soft serve. Once it passes that time it becomes necessary to remove it from the freezer a little while before you want to serve it. It also takes longer to soften than standard ice cream so please be prepared for that. If you want it to be ready quicker I recommend freezing it in a few small containers rather than one large one as then it will be ready to eat a lot more quickly. When it first starts defrosting it does become a little crystally but if you leave it to go past this stage it becomes really soft, creamy and delicious. That’s when you want to eat it. If you would prefer a softer serve then you could add some alcohol to it when you blend it. Just one to two tablespoons will stop it setting so hard. Vodka would be a good choice as it would be relatively flavourless in such a small amount. I personally didn’t want to go down the alcohol route because we don’t tend to have vodka in the house, and also because it then becomes child unfriendly. It’s also not really worth buying a bottle just for one tablespoon or two. Please don’t be tempted to use stewed rhubarb instead of roasted. By roasting you lower the water content which makes for a better ice cream texture. It also condenses the flavour rather than diluting it like stewing would. 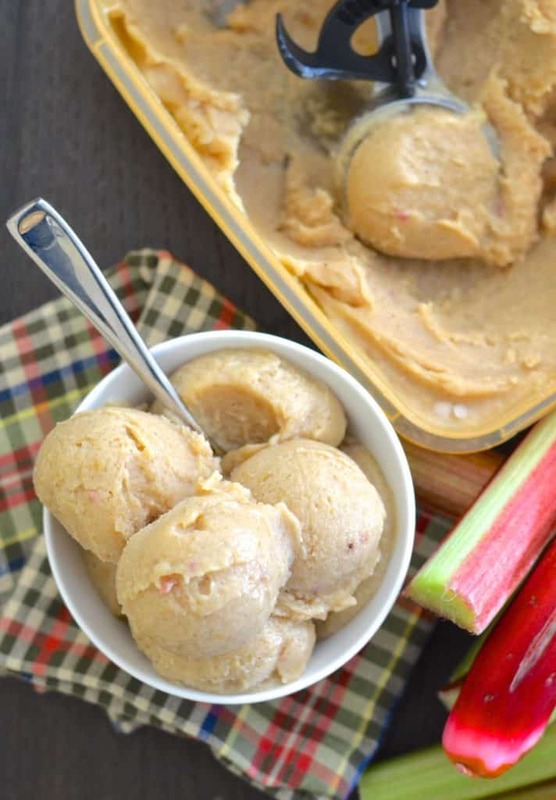 I would however recommend serving this No Churn Rhubarb and Custard Ice Cream with some warm stewed or roasted rhubarb. It is so good! If you give this No Churn Rhubarb and Custard ice cream a try please leave a comment below to let me know what you think. Share a picture on Instagram too. I am @avirtualvegan. Use the hashtag #avirtualvegan so I don’t miss it! Classic British flavours combine in this really easy, no fuss, No Churn Rhubarb and Custard Ice Cream. It's incredibly easy to make & is secretly healthy! Cut the rhubarb into bite sized chunks and arrange on some parchment paper or a [silicone baking mat | , on a baking sheet. Roast in the oven for 35 - 45 minutes. It should be soft and looking a little brown and dried up around the edges. Remove and let cool. 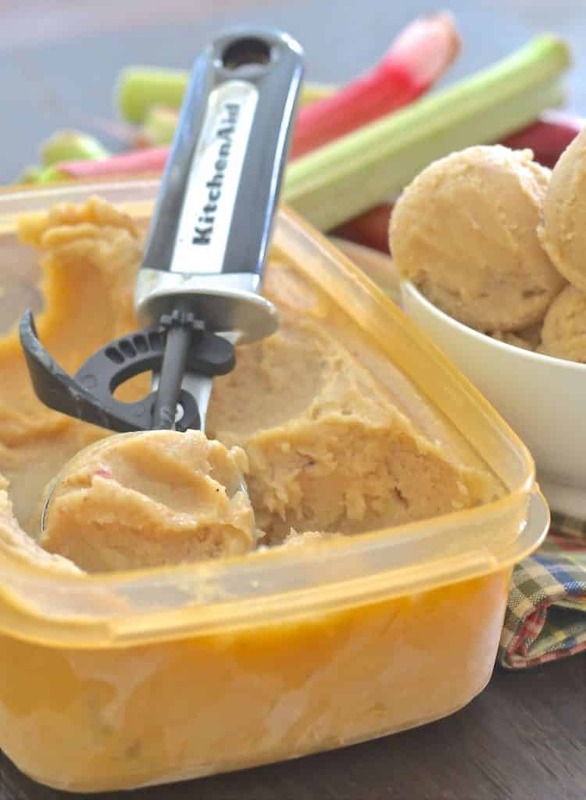 In a blender or food processor combine the sweet potato, milk, vanilla, maple syrup, rice syrup, alcohol if you are using and 3/4 of the rhubarb if you want some chunky bits, or all of it if you want your ice cream totally smooth. Add the remainder of the rhubarb if you haven't used it yet, and pulse a few times to break up a little bit and distribute evenly. Pour into freezer proof containers and place inside the freezer. The smaller the container the better as then you won't need to wait as long for it to often before eating! Serve as soon as it has become a soft-serve consistency. If it's left longer it will become hard but just remove and let defrost until soft and creamy before serving. Brown rice syrup is optional in this recipe. It works great without it but the rice syrup makes it very slightly less hard and also gives it a creamier mouth feel. Vanilla bean powder gives a far superior flavour but I am aware that it can be a little hard to get hold of. If you do find some, a packet lasts absolutely ages. I've had mine for well over a year. Amazon stock it if you can't find it in any local stores. Vanilla extract can be used instead but the finished ice cream will not be as 'custardy' in flavour. When it first starts defrosting it does become a little crystally but if you leave it to go past this stage it becomes really soft, creamy and delicious. That's when you should eat it. If you would prefer a softer serve then be sure to add the alcohol to it when you blend it. Just a couple tablespoons will stop it setting so hard. Vodka would be a good choice as it would be relatively flavourless in such a small amount. 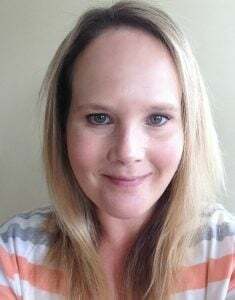 A Virtual Vegan is a participant in the Amazon Services LLC Associates Program, an affiliate advertising program designed to provide a means for us to earn fees by linking to Amazon.com and affiliated sites. This post may contain affiliate links. It should be! I really love rhubarb, but find it’s not super popular. I”m not sure why. It’s pretty awesome. Is “2 tablespoons” of vanilla extract correct? I’m new to this kind of thing, but it seems like a lot. Wondering if this should be teaspoons. Hi Jim, It is supposed to be 2 tablespoons. That is a lot, you are right but it is what gives it the custardy flavour. It isn’t essential though. If you omit it or don’t use so much you’ll just have rhubarb ice cream and not rhubarb and custard! Love seasonal goodies like this!It was so delicious! Loving these flavors and how simple it looks! I’ve made sweet potato ice cream before and it turns out great! Thanks Anjali. Sweet potato is great in so many things! Those are wonderful flavor combinations. I always use to get rhubarb from my neighbors garden when I was a child, and have wonderful memories of that, so Rhubarb brings me to a happy place. 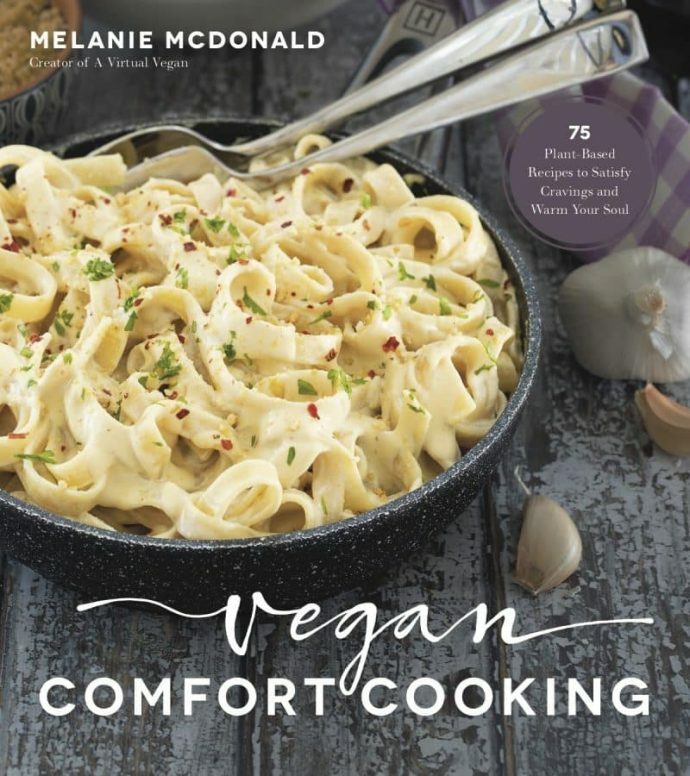 Custard was my favorite ice cream before going vegan. This looks and sounds amazing! Thanks for the great recipe! You will love it then. Thanks Linda! I love the sweet potato ice creams! Such great texture. What a great flavor idea too! Bring on all the ice creams this summer, I could eat every single one! Totally! Summer isn’t summer without plenty of ice cream! Love this recipe! I can’t wait to making it. Oh sweet potato, I am now very intrigued and I love rhubarb so much! You would never know the main ingredient is sweet potato. You can’t taste it at all! I definitely need to try this. I LOVE rhubarb. It sounds so good!!! Thanks Jenn. Rhubarb is the best! Thanks Rebecca. No icky eggs!